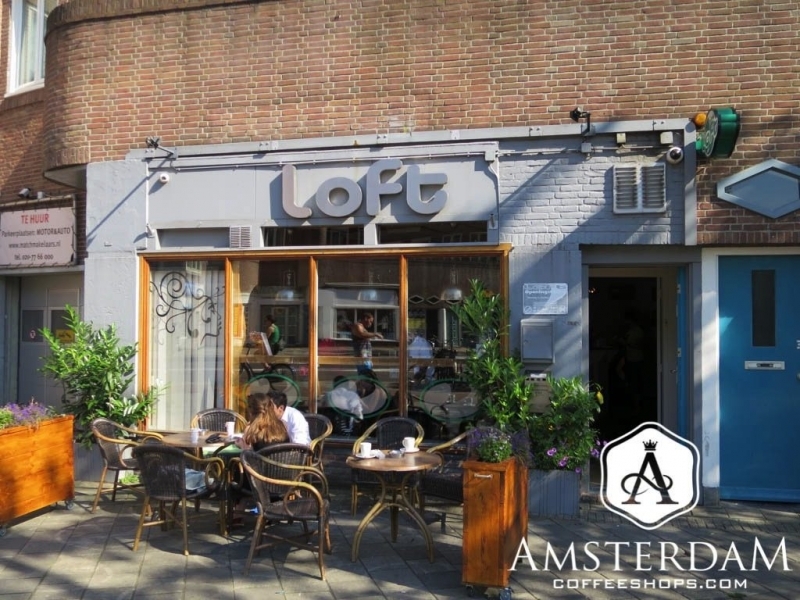 The Loft coffeeshop is located on Jan van Galenstraat, near the southwest corner of Erasmuspark. This is De Baarsjes, a trendy section of Amsterdam West. The surrounding area is strongly residential, but also hosts an ample collection of small cafés, restaurants, and independent shops. This is a hip neighborhood, as noted by its increasing popularity with the artsy and young professional crowds alike. It is well worth a stroll around. 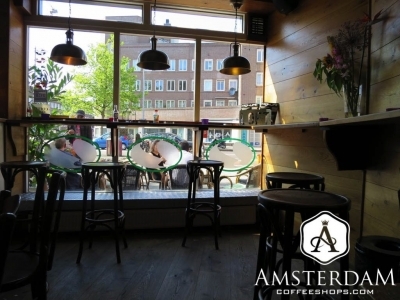 The look and feel of this particular coffeeshop is best described as an “urban café”. One of the first things you will notice as you approach the shop is the small outdoor seating area. A few planters provide some privacy, so you feel like you are dining street-side or “al fresco”. Inside, the café vibe continues. There is a small smoking lounge in front. The floor walls and trim are mostly wood. The main glass window runs nearly floor-to-ceiling, and lets in a ton of natural light. It all makes this place quite comfortable and open. 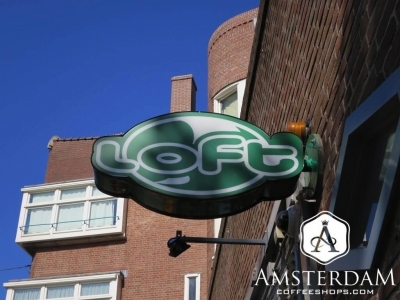 The same group that owns Siberië, De Republiek, and De Supermarkt Coffeeshops also owns the Loft. The management is generally quite serious about their cannabis menu. On the weed side, expect a mix of high quality strains. They generally include a selection of contemporary items, like the ones you would find on the West Coast of the USA. The hashish-side of the menu is also formidable. This shop is one of very few that publishes some potency and cannabinoid profile testing on their strains. If you do not see the reports, ask at the counter. Very nice energy in this coffee! with professional people inside!